Instructions: Players look to complete moves instructed by Coach and find an open teammember on the outside to pass and switch places with. Pass receiver than rotates in and completes footwork. - Head up when dribbling. 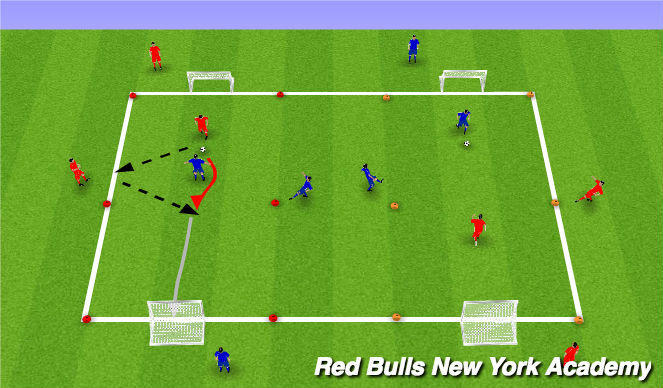 - With Ronaldo touches get ball out with medium touch and head up as you accelerate into space. 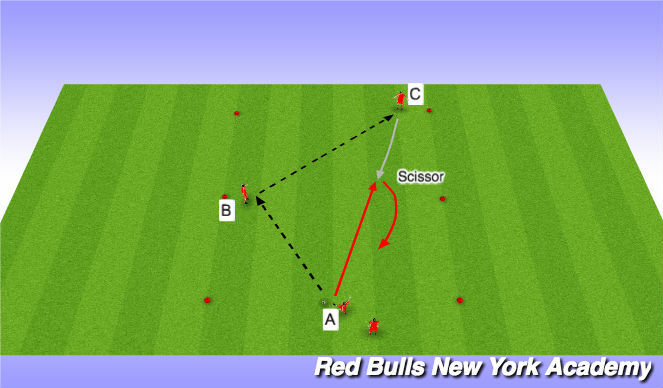 A plays to B who opens up and plays to C. C drives at A and beats them with a scissor. - Defender (A) is now live and trys to win the ball. Play 2v1 game to endlines. Keep score. 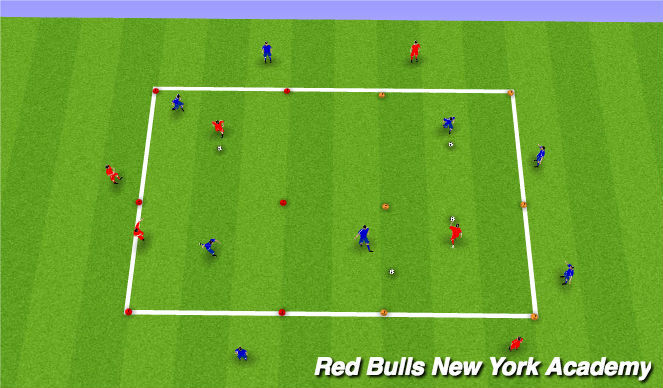 1v1 + 2 Nuetral Players start off on the flank, in a 30x40 yard grid, using 2 small goals. Players play a 1 vs 1 game for 2 minutes, they have two support players either side of the field they can use to help get past the defender. Support players must stay on outside of field and only have one touch. Players may enter field of play to make quicker combination.